It is my pleasure to welcome you to DIET an Institution which has set itself a Vision “To evolve into a premier technical institute with value based education to nurture competitive Technologists to Build New World”. The evolution of the institute has witnessed strong intertwined human resource committed to provide professional education with thrust on creativity and innovation. The motivating environment in DIET for knowledge assimilation, generation and dissemination with a sense of social responsibility, human values and concern for social commitment has carved a niche for itself among the best technical institutes. District Institute of Education and Training (DIET)Pulwama is a nodal agency for providing academic and resource support at the district and grassroots levels for the success of various strategies and programmes undertaken in the areas of elementary education and secondary education. 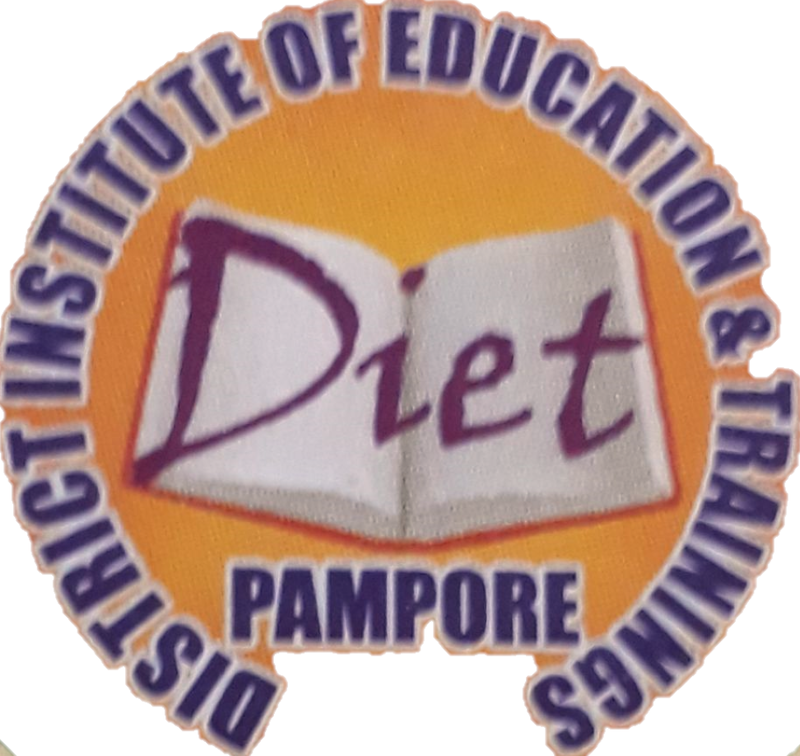 The said institute at Pampore was established in march.2008.The main functions of DIET is to impart training (both of induction level as well as continuing varieties),Resource support (extension/guidance, development of materials, aids, evaluation tools, etc.) and Action research. The special emphasis is on Outcome Based Education (OBE) and Experiential Learning. The academic activities concentrate on helping the students to gain an excellent theoretical knowledge base and in the development of skills to implement them. We are constantly reviewing our set up to update and improve while making sure that students gain thinking skills, analytical frameworks, entrepreneurial skills, interpersonal and communication skills. There is also an ample of scope in co-curricular and extracurricular activities at DIET wherein the students are encouraged to show their talents. DIET ensures that the students prove themselves to be not only well qualified professionals but also very responsible and ideal citizens of our country.